This little gadget is about as simple as they come: a big block of plastic with tapered slots in the top you can force a wire down into to hold it still. With slots on both sides, wires can easily be held in position for doing splices. This model is created by [Tristan Fritz], and is actually a modification of an earlier soldering assistance tool by [Domenic]. By adding a series of holes into one side, components such as resistors and LEDs can be held in place for quick soldering. Classically one would use a “Third-Hand” soldering aid for these kinds of tasks, but I really like how much smaller and lighter this version is. You can just toss it into your bag and it’s available whenever you need it. A piece of felt on the bottom might not be a bad idea, but otherwise this is ready to go as soon as the printer is done doing its thing. Personally I’ve printed this in PLA and had no issues while soldering, but if you’re a bit heavy handed with the iron and are worried it might get too hot, doing it in PETG wouldn’t hurt. There are a lot of printable designs out there for tweezers, and selecting just one was pretty tough. Whether you need extra long ones or super strong ones, somebody’s got a model floating around out there for you. But in the end I picked “Cross Tweezer” by [Johannes]. Rather than printing in a single piece, these tweezers are three separate components that you then assemble (a drop of glue helps, but is not strictly required). The clever design of theses tweezers combined with the natural flexibility of the plastic causes them to continually pull themselves closed with enough force to easily lift up small components. I’m really very impressed with these tweezers. Their grip force is perfect for the kind of work you’d be using this sort of thing for, and the fact that it automatically locks onto whatever you pick up prevents hand fatigue. As an added bonus, it’s a bit safer around sensitive electronics than traditional tweezers since it’s plastic. These are fast and easy to print, though the very tips of the tweezers can curl up if you don’t have good bed adhesion. 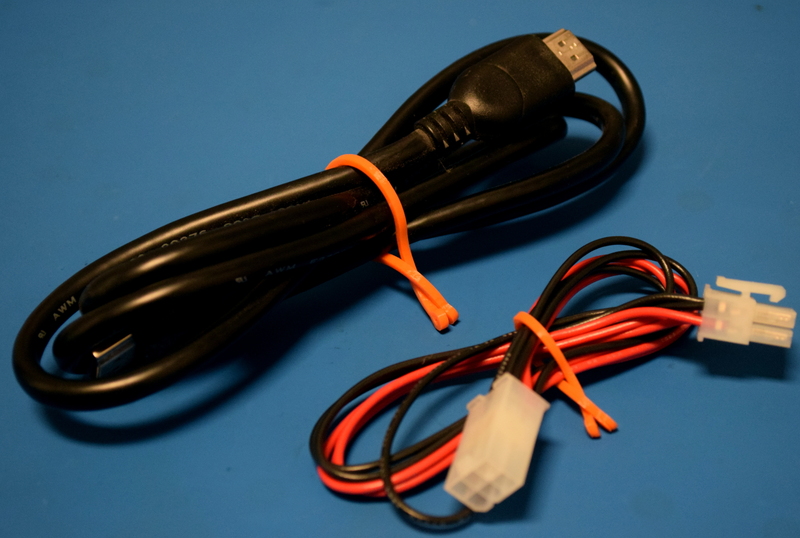 These cable clips by [Brandus Lucian] are reusable, easy to secure, and best of all fast and cheap to print. They’re available in a range of sizes and work great on everything from thin wires to thick cords. Printed in different colors, they can also be useful in keeping wires separated into easily identifiable bundles. As with the “Cross Tweezer”, this design relies on the flexibility inherent in thin printed structures. Opening and closing the ties multiple times doesn’t seem to have any ill effects on the materials, though the jury is still out as to how they would hold up extended to humidity for long periods of time. These are best printed in large batches; fill your whole bed up with them and start mass production. However this is another model which is especially susceptible to issues with bed adhesion, so make sure your first layer is dialed in before running a batch of these off or you might come back to a bed full of plastic spaghetti. These little part trays designed by [Sean Charlesworth] are extremely handy to have around, and I’ve already started printing more in different scales and colors to help keep small parts organized while taking things apart. The funnel side is great when you want to pour out the contents into a baggie or your screw organizer. If you couldn’t tell just by looking at it, this is a stupendously easy print. When scaled up it can take awhile to print though, so at some point it might make more sense to go a different route. But small versions like the red one pictured here only take a few minutes to complete at 0.3 mm layer height. Alright, admittedly I did bend my own rules a bit with this one. You’ll obviously need a razor blade to complete this print, as well as an M3 nut and screw to secure it. But given how useful this little wire stripper by [Dragon in Moscow] is, I thought it was worth adding to the list. Granted you should probably own a decent pair of wire strippers already, but this would be perfect for your “B” set of tools, or to go in an electronics “Bugout Bag”. The indents on the jaw support stripping a fairly wide array of wire sizes, and the simple arrangement for securing the razor blade works quite well. Officially the documentation for this model says you should print it at nearly 100% infill, but I didn’t find that necessary. In terms of functionality, the stripper was able to cut through the insulation of every wire I tried with a quick spin, and was even able to remove the outer insulation on network cable without damaging the internal wires. In searching for the models I’d feature for this article, I was struck with just how many neat printable tools and gadgets there are out there. These select few are the ones that made the biggest impression on me during my search, but there’s surely many more useful designs out there that I didn’t see. 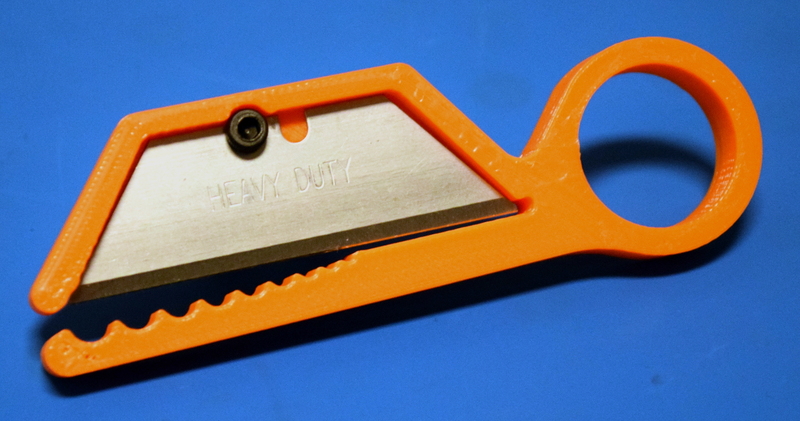 Do the good readers of Hackaday have a favorite printable tool? Something you picked up off the bed of your printer and have been using ever since? We’d love to hear what the community thinks is the most useful object they’ve ever printed; perhaps we’ll have to revisit this topic supported by the boundless knowledge of the Hackaday comments section. floppy drive camera – LoL, 3 months with buffalos & cobras ! get stuff done for a project in an isolated region. at the pulp plant just behind the Sabah Forest Industries Motel. How would it save weight? Wouldn’t you have to carry a bunch of print material that you may or may not use? Just being able to carry a few spools of filament is less bulky than carrying multiples of many widgets. You may still transport 2/3~ 3/4 the weight of all of the possible doo-dads, but just even cutting the physical bulk or crating volume could be a major issue when shipping things. Once you’ve done some field installations, you find that a couple of (customer) miss-measured things or on site revisions can eat a lot of simple commodity items. IF the 3-D printer can produce them, then you might not have to crate so much hollow space and transport it. Regardless of its dead weight, Cargo space (volume) comes at premium if you’re working in far flung locals! And yeah we started programming that on Paper Tape too ! It’s just bad communication. It really can’t be backed up. That looks like a fun job. What an adventure. Nice selection! I’m going to have to print the soldering fingers. That one in particular looks useful. I’m sure many of us have been guilty of setting the wires down at the right angle so that they just touch method of soldering…..
Or the “tweezers in one hand, soldering iron in the other” method…done properly, the burns are minor and should clear up after a few days. How about iron held between the knees pointing upward, solder spool in one hand, component in the other, wire held with teeth? I printed this holder, and although I’ve tried it a few times, I’m back to my old helping hands. Once you wedge a wire in to hold, it’s no longer adjustable, and to get it wedged in, you need to move it. Frustration and multiple re-positionings ensued (with me, anyway). A clamping mechanism, and maybe some movable arms, and a heavy base of course. Maybe it could have a magnifying lens for those tiny components. One of my colleagues once told me about an idea he’d had for a much more secure version of wifi. Really the problem with wifi security is that anyone can use it, and anyone can listen in, so he posited that a piece of hardware uniquely tying two end points together could solve that problem. Of course that’s an ethernet cable. The clips on my helping hands always get melted into the insulation on the wires. Maybe I’m soldering too hot? But it seems the only time I have troubles is in this scenario. You got a couple layers of heatshrink on the jaws of the alligator clips? I usually leave a couple inches along the wire from the solder point to the clip and I don’t jave a problem. I reckon I’ll give the holder a go though, looks like a cool little device. For me, the best cure(?) for that was Pre-tinning every possible surface to be solder wetted. Then I set up the helping hands with the pre-tinned work pieces and try to set things as to just need a slight solder flow to join them. IF needed, We can sometimes use funny jaws or grip shapes during the pre-tinning stage, when those won’t interfere with the final solder work. One other detail: Sometimes breaking out the big Weller soldering gun, is the thing to do. Parts can sometimes sink away the heat of a 20 watt pen. nearly as fast as it can supply them to the parts. The big 140 or 200 watt gun lets ya hit the solder and get a quick heat flow and then get off of things before a lot of BTUs creep into the insulation. Get some practice bits and try this. You just may find that with a bit practice, it can be a useful technique in certain situations. …a few kapton tape pieces around aligator clip? I had this same problem. I wrapped the jaws on my helping hands with electrical tape so that they wouldn’t bite into the insulation. I use a couple of large blobs of bluetack as my helpers. Holds pretty much everything at whatever angle I need. The older the better. Less sticky (or just add cornstarch). i would love to see an article about the must-have printed science and education objects. You know, the stuff everyone (i imagine) that just got a new 3d printer goes scavenging for on thingiverse and the likes. Do you have any examples to get us rolling?